Karen Campbell is a partner in the New York office of Lewis Brisbois and a vice-chair of the General Liability Practice. Ms. Campbell is a trial attorney with 30 years of experience. 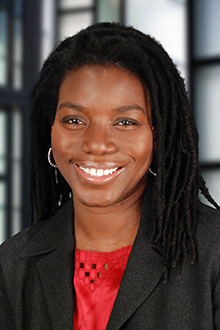 Her practice focuses on the defense of long-term care providers in skilled nursing home and assisted living facility matters, general liability litigation at both the primary and excess levels, employment discrimination matters, defense of toxic tort claims, including lead-based paint exposure and mold, and the representation of defendants in bodily injury claims brought under New York Labor Law Sections, 200, 240 and 241 and related common law construction accident claims, including with respect to indemnity issues and third party actions. Ms. Campbell also handles miscellaneous professional liability matters, including negligence, sexual abuse/misconduct, discrimination and errors in judgment claims, on behalf of social services agencies such as foster care agencies, outpatient mental health, addiction and counseling clinics, senior citizen and day care centers, and medical, beauty and personal care facilities. Prior to entering private practice in 1991, Ms. Campbell was an Assistant District Attorney with the Kings County District Attorneys office in Brooklyn, New York where she prosecuted and tried violent felony crimes. After leaving the District Attorney’s office in 1991, she became associated with a mid-sized firm specializing in environmental insurance coverage and defense of personal injury actions. In 1996, Ms. Campbell became a member of the firm. In 1998, Ms. Campbell joined the New York office of a large California firm as Special Counsel and served as one of the office’s trial counsel. She handled a variety of general liability cases and also concentrated her practice on the defense of hospitals, physicians and podiatrists in medical malpractice litigation arising from cardiovascular, pulmonary, neurological, eye, ear and nose, podiatry diseases or disorders. Most recently, in 2002, she joined a regional Massachusetts firm as the Managing Attorney of the New York office. Ms. Campbell served as the principal trial attorney in New York while overseeing the overall growth and development of the office from two attorneys to more than 17 employees. Ms. Campbell has successfully tried more than 55 cases in Kings, New York, Bronx, Suffolk and Westchester counties and in the Southern District of New York. She has obtained defense verdicts, directed verdicts and verdicts awarding minimal damages as well as handling the negotiation of favorable settlements both before and during trial. Panelist, Throwing Away Your Case: How to Preserve Evidence in a Hospitality Lawsuit, Lewis Brisbois Webinar, August 20, 2015. Karen L. Campbell, et al., Avatar in the Courtroom: Is 3D Technology Ready for Primetime?, 63 Fed’n Def. & Corp. Couns. 295, 295-317 (2013). 2005 Toxic Tort verdict selected by the New York Law Journal as one of the noteworthy cases from 2005 that resulted in a defense verdict. While earning her law degree, Ms. Campbell was a member of the Moot Court Board and was honored as a member of the Order of Barristers.